Total APD budget: House = $1.076 billion; Senate = $1.05 billion. House budget is $31 million above base budget and Senate budget is $7 million above base budget. Biggest difference between the two chambers is the Senate’s proposed across-the-board provider rate reduction of 3% which would result in a $24.7 million reduction. The House proposal does not contain this reduction. Both chairmen propose $19.1 million from non-recurring funds to resolve the projected deficit in the Home and Community Based Services waiver. Both chairmen propose continuation of the dental pilot programs at the public facilities that were initially funded last session ($581,000). Both chairmen propose administrative reductions to central and area offices of $661,209. Both chairmen propose a $3 million reduction due to elimination of behavior assistance services in standard and behavior focus group homes. Both chairmen propose elimination of behavioral therapy assessment ($335,816) and medication review ($301,907). Both chairmen propose reducing expenditures for durable and consumable medical equipment through use of competitive bid or development of standard pricing schedule (subject to negotiation with Agency for Health Care Administration). Savings of $932,093. Total House reductions = $5.5 million; Total Senate reductions = $30.1 million. The entire difference is due to the across-the-board provider rate reduction proposed by the Senate. Otherwise the chambers are identical on their reduction proposals. Both proposals reduce General Revenue by $112 million due to the increase in the Federal Medical Assistance Percentage (FMAP) provided through the recently passed Federal Stimulus legislation. This General Revenue reduction is entirely offset by increases in Federal funds. These budget proposals may be modified as final spending decisions are not expected until the week of March 30 – April 3. In addition, as each chamber considers the appropriations act in committees, on the floor and in conference committees, changes from these initial chairmen’s recommendations is likely to occur. This analysis reflects spending decisions only. Proviso language and conforming bill legislation was not available at the time this was prepared. These are highlights of House and Senate budget proposals as of 3/26/2009 of selected items determined by the author to be of most interest to stakeholders. Please consult documents from the House and Senate for a comprehensive list of all budget proposals including technical adjustments. Here is an e-mail I received that originated from Carolyn Smith, RN, CDDN, with Smith Consultant Group. Here are her assessments of the tier hearings she had attended. If you feel Ms. Smith would be of help to you in obtaining the services you need, be sure to contact her. There will be a cost. Her address and e-mail at the the end of the memo. Hello everyone. I know most of you have more formal ways of getting your info on what is happening in these hearings, but I briefly wanted to share a few things from my perspective. It will be short and sweet, because after being out for this week for hearings, I leave again tomorrow for another week of consulting, and most probably will not have much access if any to e-mail. If you think any of the below could be helpful to someone fighting for their services, please past it along. 1-Address the impact of the cuts service by service and collective loss of service. A “motion in limine” (to exclude testimony on need because the tier placement was made based on a cost plan which was based on PSA medically necessary services based on a support plan which was based on a valid assessment …., so need has already been established and appartently from their positition can’t be altered) It is apparently APD’s position that only loss of residential placement could definitely lead to institutionalization. 2-Address the differences between the tier statute and the rule. 3-APD does not seem to know how to describe how a consumer might reconcile having PSA approved medically necessary services (i.e., meeting all the criteria per statute), not enough money in his/her tier to cover them, and choosing not to cut any or enough services. 4-I do not know if lay-people representing consumers in hearing can do it and this is not legal advice, but when the judge sustained objections from the state for admission of evidence from the petitioner, the petitioner’s attorney in these cases asked for the evidence to be “proffered.” It’s my understanding the document or testimony proffered then becomes part of the record but is not evidence. It’s just there for the record in case of appeal. I found that very interesting and those in the know should check it out. These comments may be hear nor there, but if anyone wants further information or discussion I’ll be back in the office on March 9. Although we are still in the midst of implementing the tiers, a new cost plan slashing exercise is just around the corner. It is called “Cost Plan Rebasing”. Those of you who said, “Use it or Lose it” were on target. Those of you who tried to be fiscally responsible, and only used bare bones services will be left short. Many people are still waiting for their “fair” hearings to see if their services will be cut by the tiers. In fact, nearly 5,000 waiver recipients requested a due process hearing because they were asked to give up services that had already been determined to be medically necessary. It is estimated that another 2,500 did not request a hearing, and their services have already been cut. People who are on the Medicaid waiver will get a letter in late November explaining possible future cuts to their cost plans. This round of cuts is called Cost Plan Rebasing. The Agency for Persons With Disabilities will look at what you actually spent on services in the “previous state fiscal year”. Then they will add 5 percent to that figure. Cost plan Rebasing will occur UNLESS, your current cost plan is cheaper. If your current cost plan is less, then you will have no changes at all. (6) Effective January 1, 2009, and except as otherwise provided in this section, an individual served by the home and community-based services waiver or the family and supported living waiver funded through the Agency for Persons with Disabilities shall have his or her cost plan adjusted to reflect the amount of expenditures for the previous state fiscal year plus 5 percent if such amount is less than the individual’s existing cost plan. The Agency for Persons with Disabilities shall use actual paid claims for services provided during the previous fiscal year that are submitted by October 31 to calculate the revised cost plan amount. If an individual was not served for the entire previous state fiscal year or there was any single change in the cost plan amount of more than 5 percent during the previous state fiscal year, the agency shall set the cost plan amount at an estimated annualized expenditure amount plus 5 percent. The agency shall estimate the annualized expenditure amount by calculating the average of monthly expenditures, beginning in the fourth month after the individual enrolled or the cost plan was changed by more than 5 percent and ending with August 31, 2008, and multiplying the average by 12. In the event that at least 3 months of actual expenditure data are not available to estimate annualized expenditures, the agency may not rebase a cost plan pursuant to this subsection. This subsection expires June 30, 2009, unless reenacted by the Legislature before that date. It is my understanding that some tiers letter still have not been received. Much of this information is from Aaron Nangle of WaiverProvider.com. If you believe that the tier you have been placed in will not meet your needs, you can appeal. But there is a process. It is very important to send a letter of appeal within 10 days of the time you receive your tier assignment. In this way, you will be able to keep the services you currently have. If you appeal within 10 days and you desire to keep your services, you are advised to keep the original envelop that your tier assignment came in. In this way, you can prove the date that you received your letter. If you don’t apply within 10 days, you can still appeal your tier assignment withn 30 days but you will not be able to continue with your current services. If you are appealing your tier assignment, do not sign a new cost plan. This will be a contract. If you sign it, you are saying that you agree with the cost plan you are presented with. This could and probably will void your appeal. Understand that it will be easy for you to move down a tier but hard to move up. Personal Care Attendants (PCA) may not be included in your Waiver funding. However, if you are under the age of 21, this service is available to you through Medicaid funding. If you have been excluded from this service because of the tier you are in and you are under 21, try to receive this service through a different funding stream. Because the tiers are mandated by the legislature, not APD, the appeal process is somewhat different from other appeals. They are also more difficult to win. Your appeal must be written from the point of view that the services you will receive in your new plan will not meet your health and safety needs. We all live with tensions in our lives. There is the importance of play versus work; work versus family and friends. We wrestle with maintaining a spiritual connection with the Lord while still being authentic people. Eating healthy diets balanced with comfort foods that may soothe your feelings during stress. There is the need for exercise coupled with the body recouping energy gained through rest, sleep and relaxation. If we are healthy in body, mind and spirit, we have learned to balance each of the tensions in our lives which brings a harmonious hum to each day. Within every ministry there are also tensions. If you are the pastor of a nondisabled congregation, there is usually the tension between studying to teach and preach three to five messages a week and counseling and visitation. If you are a youth pastor, there will be the tension between study and planning verses counseling and interacting in playful ministry with the youth under your care. If you are a hospital chaplain, there is the tension between paperwork and praying with and for people who are in pain. For people who work with Special Gathering we actually face all of these minitry tension. As a ministry within the disability community, our goal is to disciple and evangelise the mentally challenged community. In addition, there is the added and constant tension between advocacy and all the other concerns in our ministry bag. We believe that advocacy is an important part of what we do and our weblog reflects that. Nevertheless, there is a struggle to bring balance, coupled with order. As the tier letters are going out to our members, we think we must to inform and advise. These letters will designated the amount of funding an individual will receive for the next year. However, should that take the place of daily devotion? Maybe and maybe not. We actually would like to strike a balance. Too many people will be left in the dark in this new Tier movement by the State. These won’t be children with dedicated, activist parents who will wisely scream, yell and demand. These will be the people who have been placed in the community whose parents are too old to fight or dead. They are the ones who’ve been dropped on their heads during our great social experiment called “independent living.” I have been told of one client who had $90,000 of supports has been reduced to less than the $35,000 level. How can that happen? Yet, we can’t lose our connection with our real Provider and Friend, the Lord Jesus. This is a time for prayer for our members in Florida and a time for each of us to work for an equitable balance within the State budget. There is a budget crunch. The only thing which will bring equity will be God’s hand of balance and love. We access that grace through His mercy and by our prayers. What are your members facing? If not the Tier process, what about the financial stability in your state? Here are sample letters you will receive notifying you of your tier assignment. Remember should you disagree with your placement, you have the right to appeal but it must be done within 10 days so that you can maintain the level of services you are now receiving. The explanation of the appeal process is given after your letter. Unfortunately, cut and pasting is somewhat unstable with WordPress blogs. If you are in Tier 3 or 4, please see the last entry down. We previously notified you that the Florida Legislature passed a law that requires the Agency for Persons with Disabilities (APD) to assign individuals receiving Medicaid waiver services to a four-tier waiver system. The law requiring tier assignment is Section 393.0661, Florida Statutes (2007). Rule 65G-4.0021 through 65G-4.0025, Florida Administrative Code, contains the criteria for tier assignment. Effective October 1, 2008, you are assigned to Tier 1. According to the agency’s records, this tier assignment does not require a change to your current waiver services. You may wish to contact your Waiver Support Coordinator to verify this information. The Agency for Persons with Disabilities is committed to protecting your health and safety. Additional information about the tier waivers can be found on the Agency’s website at http://apd.myflorida.com. You may contact your Waiver Support Coordinator or the local Area APD office if you have questions or need assistance in completing a hearing request. The agency tier assignment is an automatic action caused by a change in state law required by Section 393.0661, Florida Statutes (2007) and Agency Rules 65G-4.0021 through 65G-4.0025, Florida Administrative Code. Therefore, if the only issue you raise is the change to the State law requiring the tier waiver system, your request for a hearing will be denied as authorized by 42 CFR 431.220. If the agency determines you have a right to hearing, you may represent yourself or use legal counsel, a relative, a friend, or other spokesperson in a hearing on this matter. If you are not representing yourself, proof of guardianship or other documentation of your representative’s authority to act on your behalf is required with the request for hearing. Section 393.125(1)(c), Florida Statutes (2007), states that you must make your hearing request to the agency, in writing, within thirty (30) days of receiving this notice. 4. A reference to, or copy of, the agency tier assignment notice. 6. If someone is making the request for hearing on your behalf, a document, such as an Order Appointing Guardian or a written statement of authorization, establishing the representative’s authority to act on your behalf. If you file your request within ten (10) days of receiving notice of your tier assignment, your services will continue at the existing level until the final decision on your request for hearing. Effective October 1, 2008, you are assigned to the Tier 2 waiver. The annual spending limit for this tier is $55,000 a year. According to our agency’s records, you currently receive services within this spending limit and there is no need to make any changes to your services. You may wish to contact your Waiver Support Coordinator to verify this information. 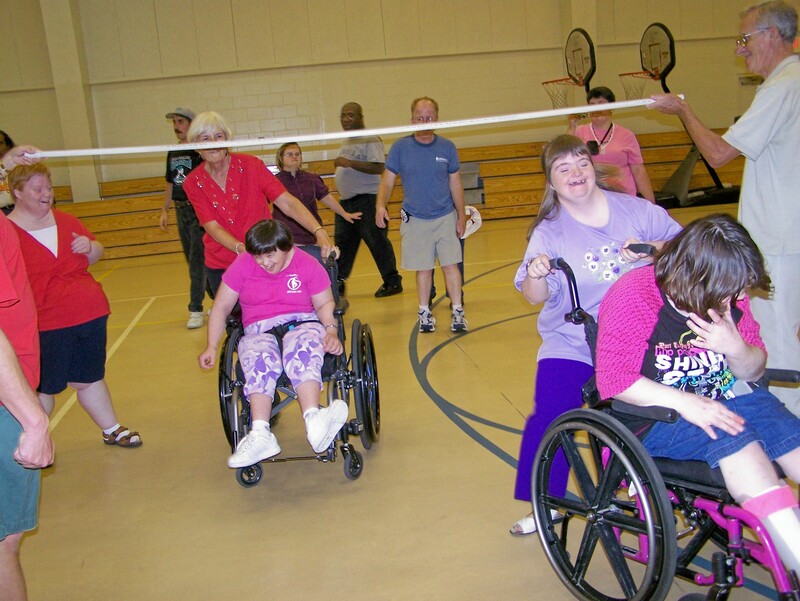 The Agency for Persons with Disabilities is committed to protecting your health and safety. Additional information about the tier waivers can be found on the Agency’s website at http://apd.myflorida.com. You may also contact your Waiver Support Coordinator or your local Agency for Persons with Disabilities office if you have questions. Effective October 1, 2008, you are assigned to the Tier 3 waiver. The annual spending limit for this tier is $35,000 a year. According to our agency’s records, you currently receive services within this spending limit and there is no need to make any changes to your services. You may wish to contact your Waiver Support Coordinator to verify this information. Unfortunately, cut and pasting is somewhat unstable with WordPress blogs. If you believe you will be in Tier 1 or 2, please see the next entry up. The following Developmental Disabilities waiver services are not available on Tier 4. If you have been receiving any of these services, they will be terminated effective September 30, 2008. For individuals enrolled in the Tier 4 waiver from the DD waiver, however, substitution of some of the above listed services can be made to meet your needs. In creating the new four-tier waiver system, the Legislature required client choice in selecting waiver services. You current cost plan may exceed the spending limit for Tier 4, or you may receive one or more services that are no longer available to you. APD encourages you to immediately contact your Waiver Support Coordinator to discuss information about your tier assignment and cost plan. APD is supplying your Waiver Support Coordinator with information on how to assist you in choosing services to adjust your current approved plan to comply with the statutory limits of Tier 4. Your Waiver Support Coordinator can assist you in choosing the services that are most important to you and adjusting your plan to stay within the $14,792 annual limit. If your cost plan exceeds $14,792 or you receive services that are being terminated, your cost plan must be revised and submitted to the Area Office by your Waiver Support Coordinator no later than September 10, 2008. Your waiver support coordinator must submit the adjusted cost plan to the APD area office for review and final approval. If you are under 21 years old and approved for personal care assistance services, these services will remain available to you, but they will not be paid through an APD waiver. Thus, when adjusting your cost plan to bring it within your annual limit, the cost of personal care assistance services will not be included in the calculation. The Agency for Persons with Disabilities is committed to protecting your health and safety. Additional information about the Tier Waivers can be found on the Agency’s website at http://apd.myflorida.com. You may also contact your Waiver Support Coordinator or the local Area Agency for Persons with Disabilities office if you have questions or need assistance in completing a hearing request.